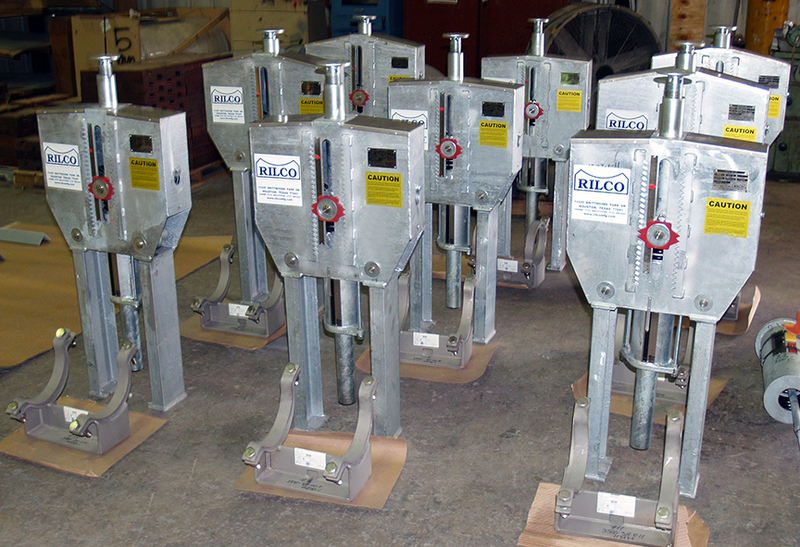 Rilco Cam Roller Constants | Rilco Manufacturing Company, Inc. 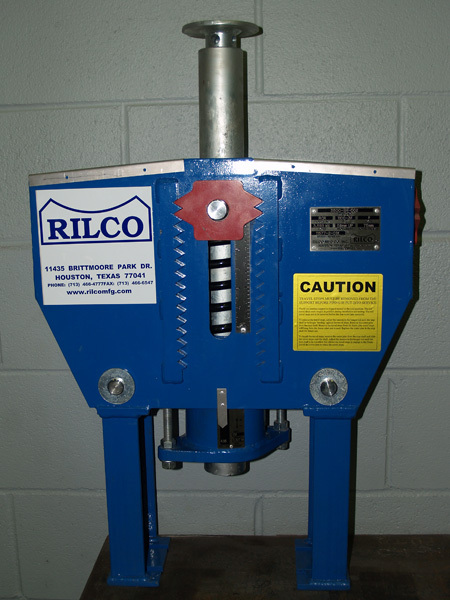 Through years of R&D Rilco has developed the Rilco Cam Roller Constant. 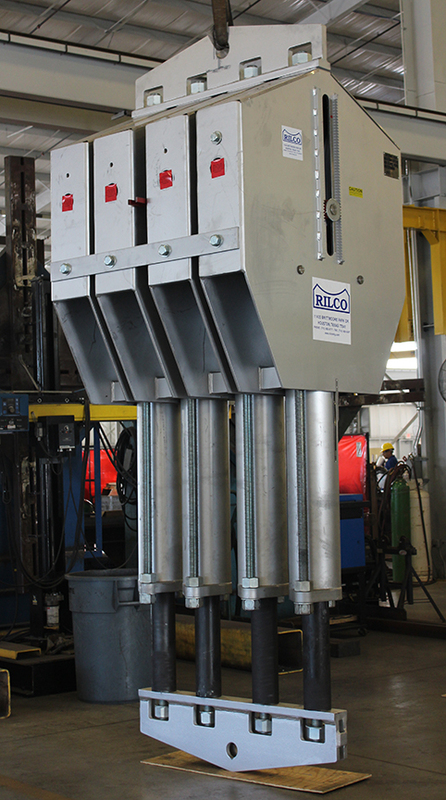 The design of the Rilco Cam Roller™ constant or “RCR” compensates for the vertical movement of a piping system at a performance level previously unattainable using a standard horizontal or vertical type constant spring support. 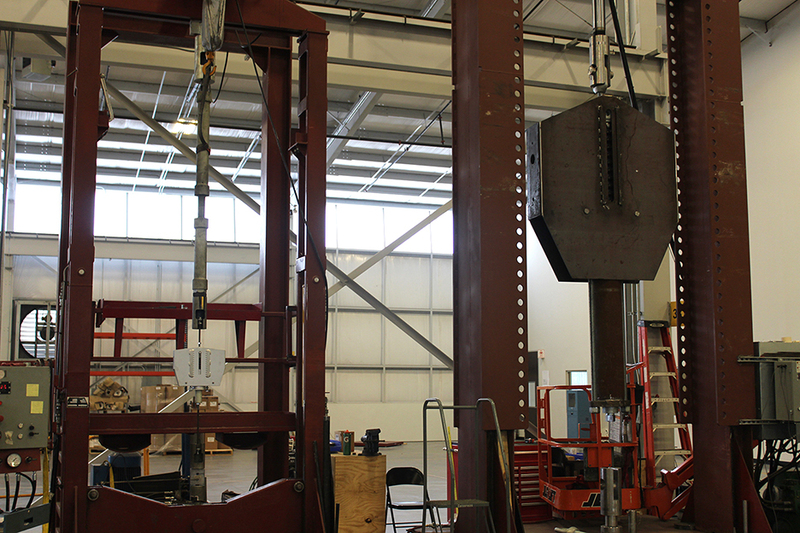 RCR constants are fabricated utilizing space saving, balanced design compatible with standard Rilco pipe hanger hardware. Site installation is enhanced as well, via the use of the centered, single point connection. RCR constants transfer the load directly through the center of the body, eliminating the moment imposed on the supporting members (typically seen with the use of standard level arm constants). The interpretation of the vertical displacement of the supported piping is made simpler through the use of a direct reading travel indicator. 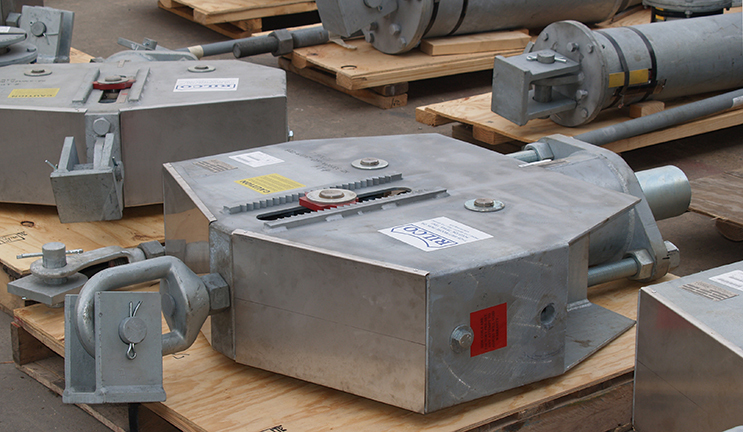 A rugged carbon steel housing encapsulates the springs and other moving parts of the unit. The center-mount feature of the unit allows for the support of the piping system directly above the support node point on the pipe. 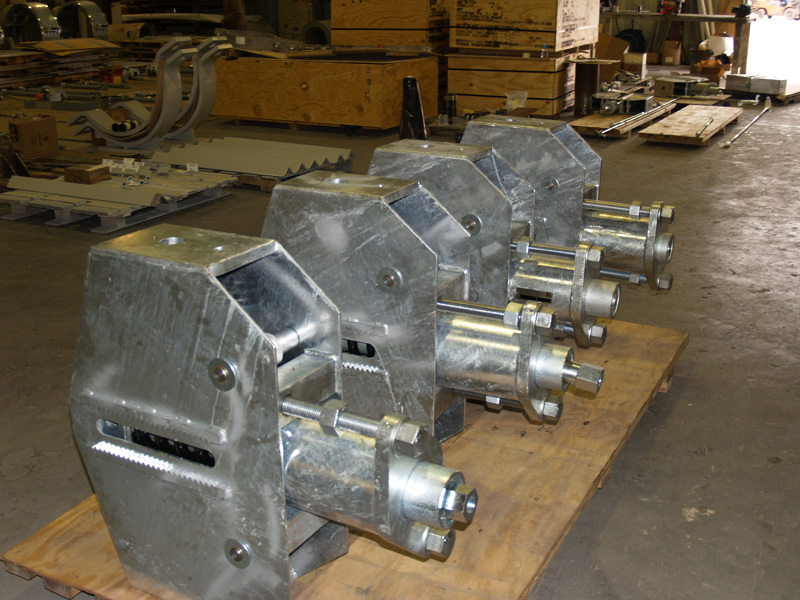 If required, optional mounting arrangements are available to tie into existing support lugs. Connecting threads are interchangeable with all standard hanger components. 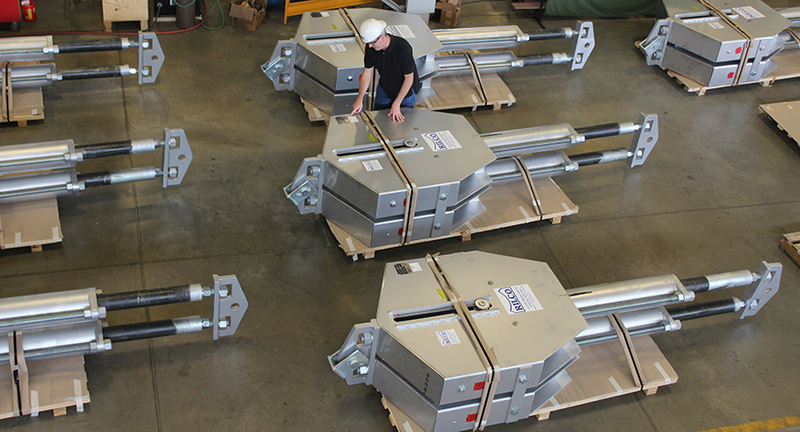 RCR units which consist of multiple units tied together for increased load capacity are supplied with a yoke plate at both the top and the bottom connection points. 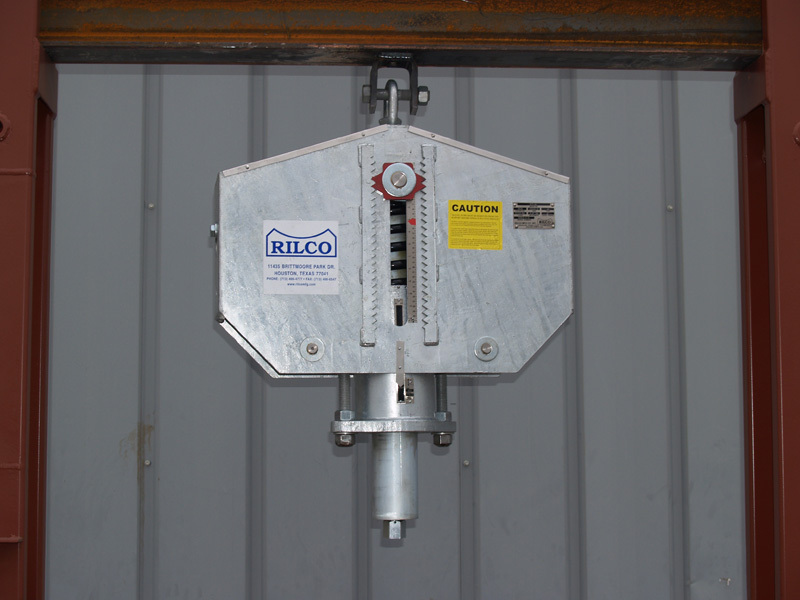 Rilco Cam Roller™ constants are available with a standard load capacity of 20 lbs (.09 kN) to 88000 lbs (391 kN) with standard travel ranges of 3”(75mm) through 18”(450mm). Loads and travels beyond those listed can also be accommodated. Contact us direct for more information. 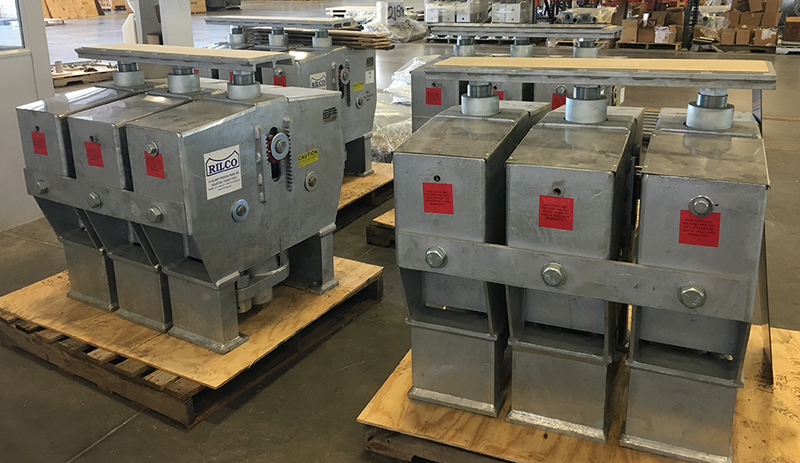 Every RCR constant is tested for operational ability and proper settings in accordance with customer specifications and Rilco’s quality control standards. 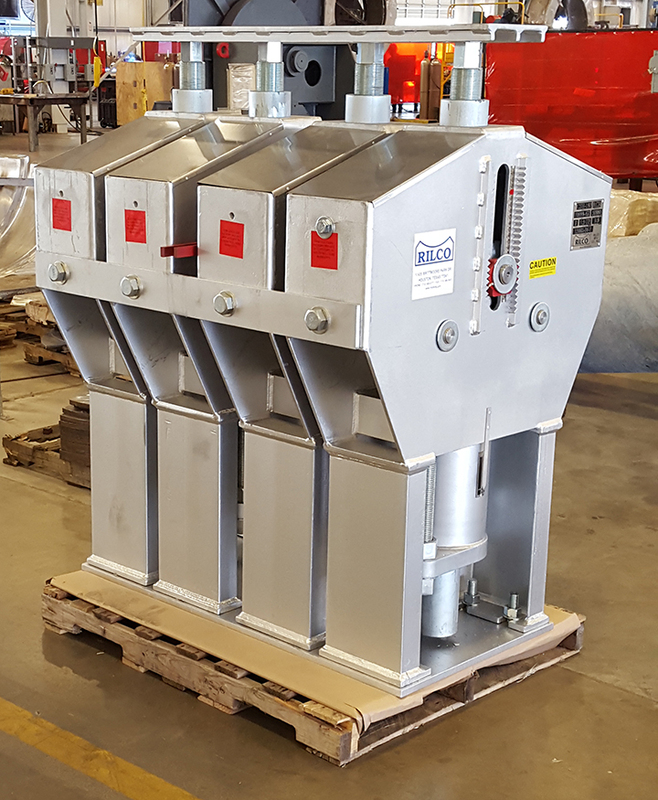 The innovative design enables the RCR to exceed the MSS-SP-58 requirement of a 6% load deviation and commonly tests at a deviation of 3% or less (test results available upon request). 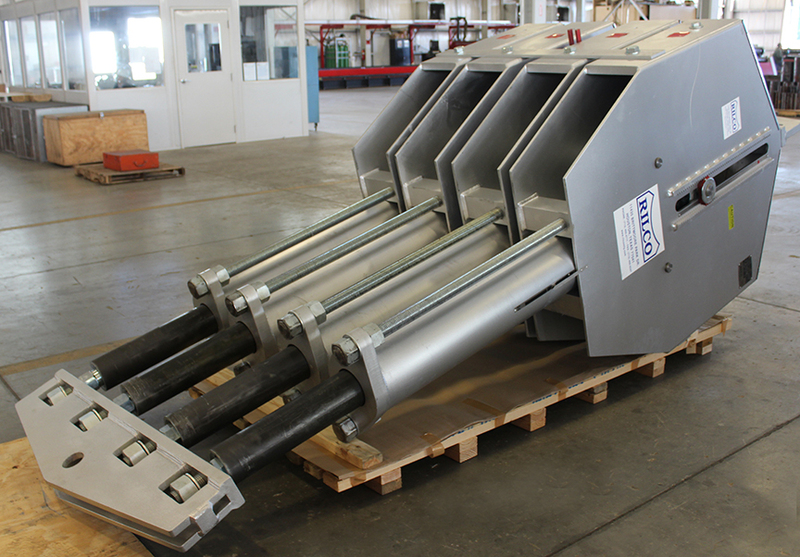 View our Cam Roller Constant Catalog for complete specs. 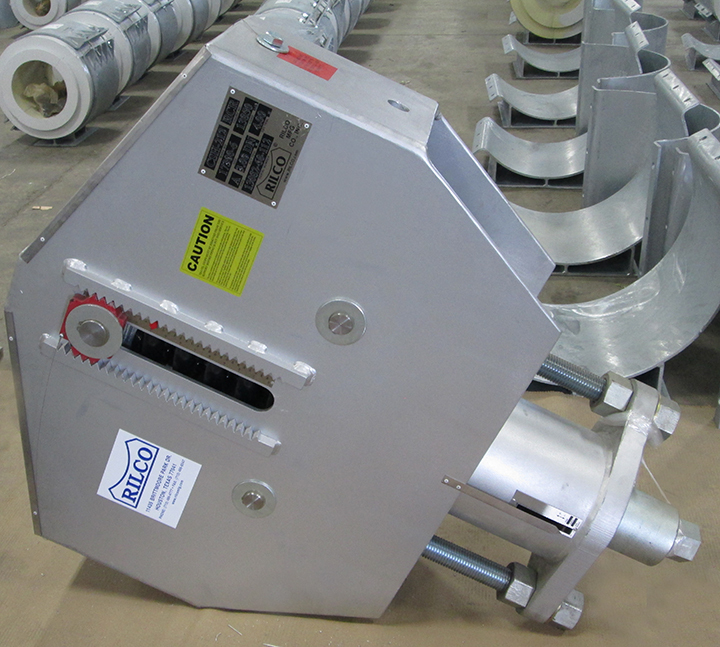 Need to figure out which Rilco cam roller constant type you need? Use our handy load and travel table to figure out the constant you need for your particular application. Type A uses a female thread in the top of the assembly which can receive a fully or partially threaded rod or a bolt. The lower attachment point consists of a turnbuckle with right hand threads for the hanger rod connection. 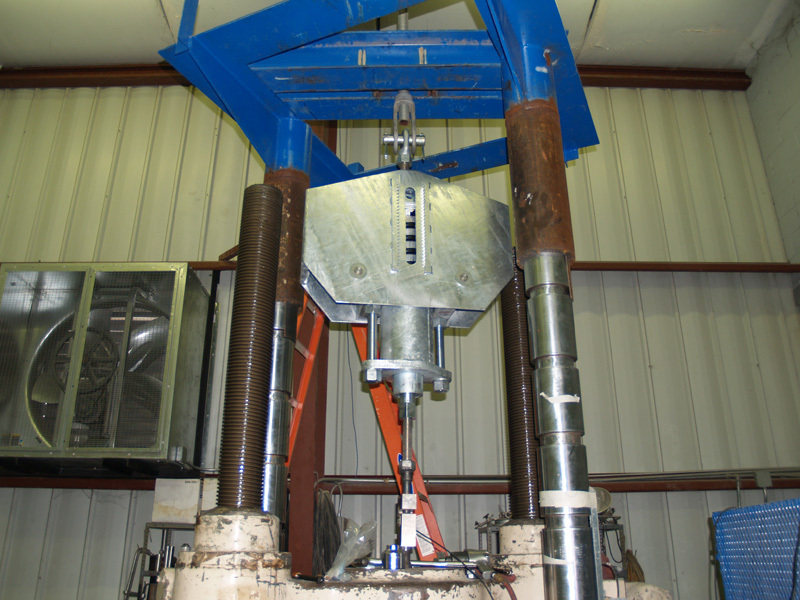 The thread diameters for both the top and the bottom connections will be driven by the size of constant selected. 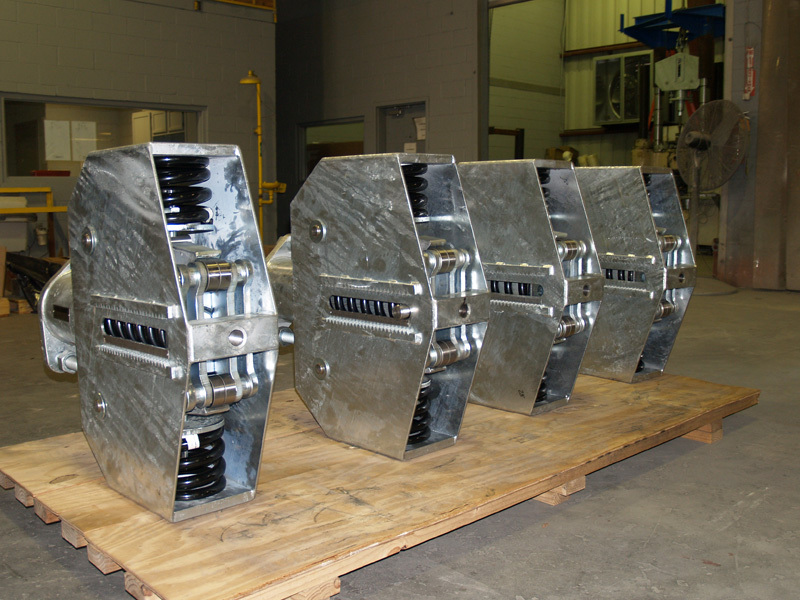 This design does not require any intermediate attachments, other than the threaded rod, prior to installation. 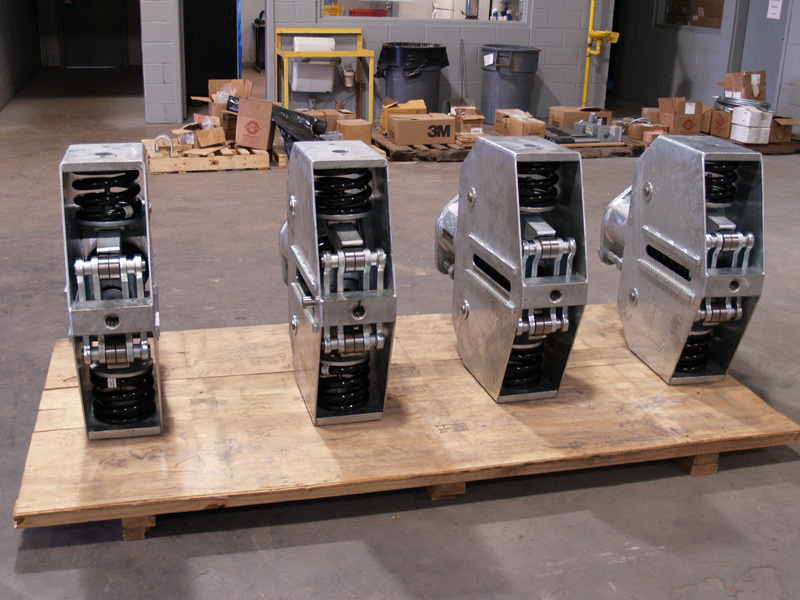 Type As are available only as single unit assemblies. 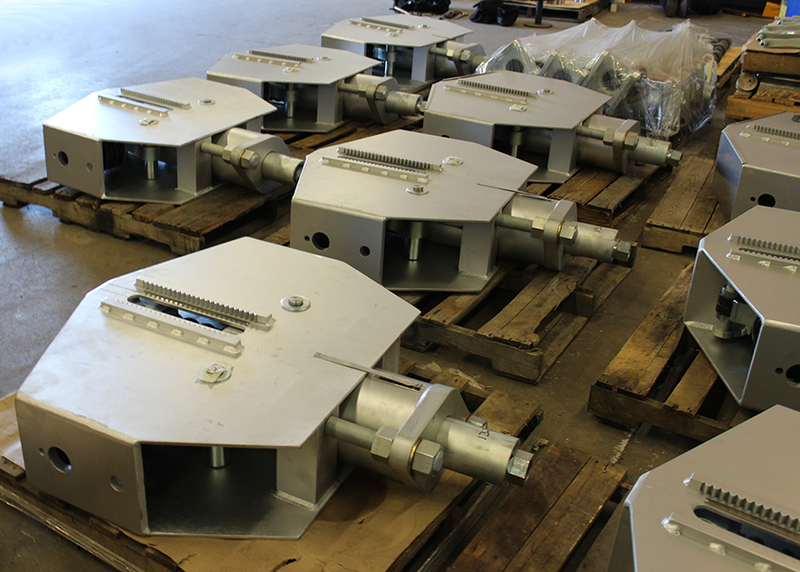 Type C is defined by a double lug top mount which is bolted to the RCR assembly. This type of arrangement is typically used in situations which require the constant assembly to be close mounted to supporting structure, or in retro-fi t applications. 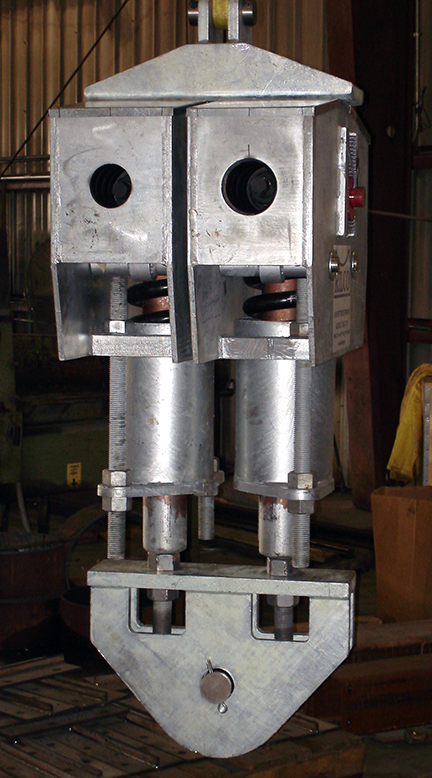 The top double lug typically works in conjunction with a structural welding lug or existing attachment plate. The lower attachment point consists of a turnbuckle with right hand threads for the hanger rod connection. 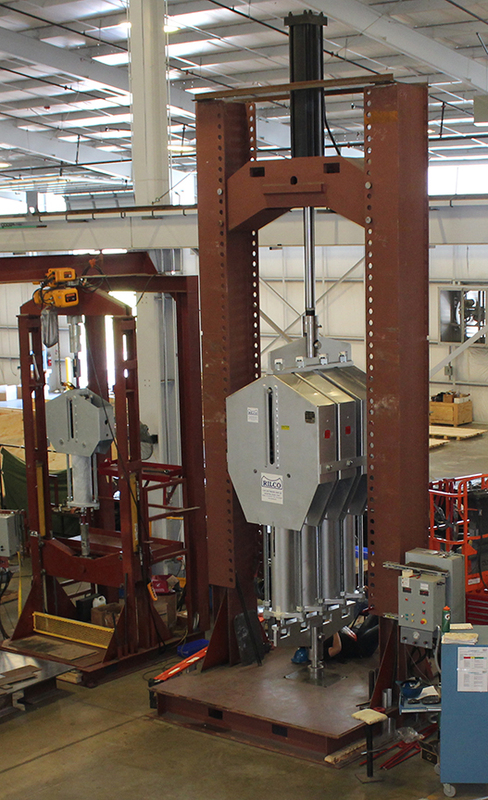 The hanger rod diameters for both the top and the bottom connections will be driven by the size of constant selected. 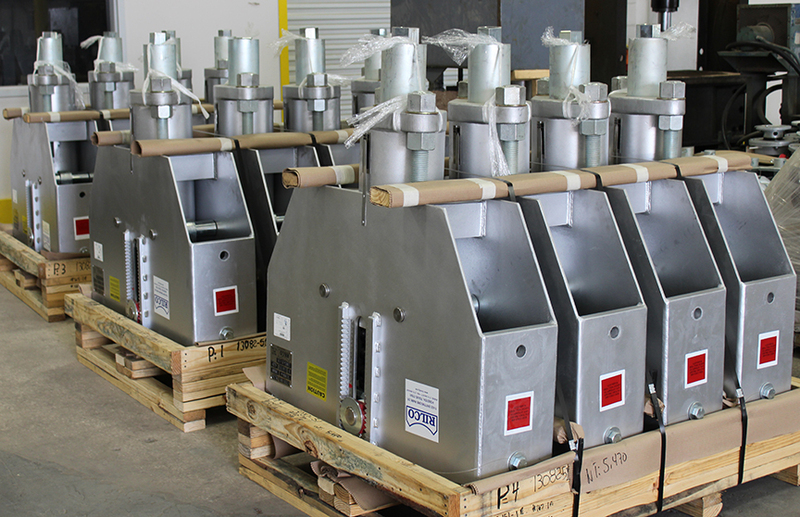 Type Cs are available only as single unit assemblies.